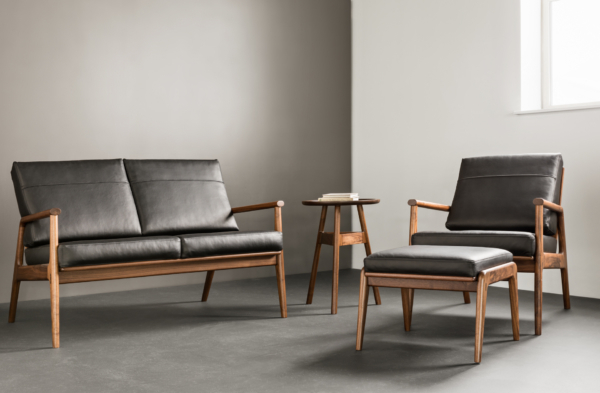 The Fahmida Sofa – Two Place celebrates contemporary design, the natural beauty of wood, and traditional joinery techniques that are a hallmark of all Thos. Moser furniture. The sofa was adapted from the Fahmida chair, designed by Fahmida Lam in collaboration between Dwell, City Modern New York and Thos. Moser. 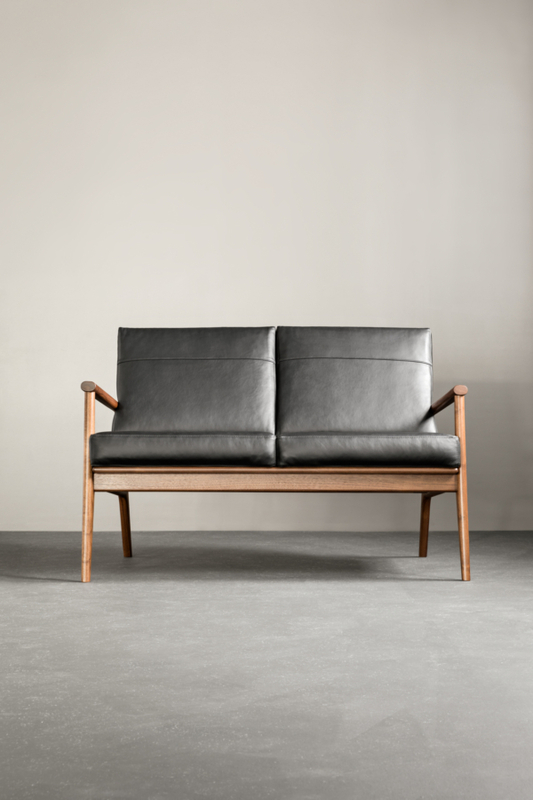 The Fahmida Sofa – Two Place is influenced by the Mid-Century Modern style, specifically Danish Modern. Although inspired by the furniture born of the style, this piece – like any Thos. Moser piece or collection – has its own perspective and is a unique interpretation of its historical antecedents. Leveraging the strength and beauty of hand-finished American hardwoods, the sofa cuts a fresh, airy profile that complements any thoughtful and clean aesthetic.